The Great Britain women’s team can look forward to six European Championship finals after a hugely successful day of qualifying in Szczecin, Poland. Alice Kinsella starred competing in the final subdivision of the day putting in a stylish display across the four apparatus to post a superb all-around score of 54.432 to place third in the rankings. Alice’s total was boosted by an outstanding floor performance that also puts her in to that final and an incredible beam routine that scored her 13.566 to place her third and qualify her to a third final. She will be joined in the floor final by Claudia Fragapane who powered her way to the top of the floor standings and will be aiming for a European medal on Sunday. Reigning European all-around champion Ellie Downie proved yet again that she is amongst the very best gymnasts scoring 53.965 to finish fourth in the standings and make the final; Ellie also topped the vault rankings and will be aiming for more medal success in that final on Saturday. First year senior Amelie Morgan made a seamless step from junior level - where she excelled- to score 53.699 in the all-around, that put her a superb fifth in the standings however with only two gymnasts per country progressing she will have to wait for her first senior final. Alice Kinsella (Park Wrekin) competed in the last subdivision of the day and showed superb composure to take her to the top of the standings with superb performance on every apparatus. The highlight was a beautiful floor routine that was well controlled giving her a score of 13.066 to take her to the floor final. Alice also showed her elegant beam work under pressure in her final performance knowing that she needed to produce a great routine scoring 13.566 to take her to both the beam final and also ensure she was the top British gymnast in the all-around rankings. 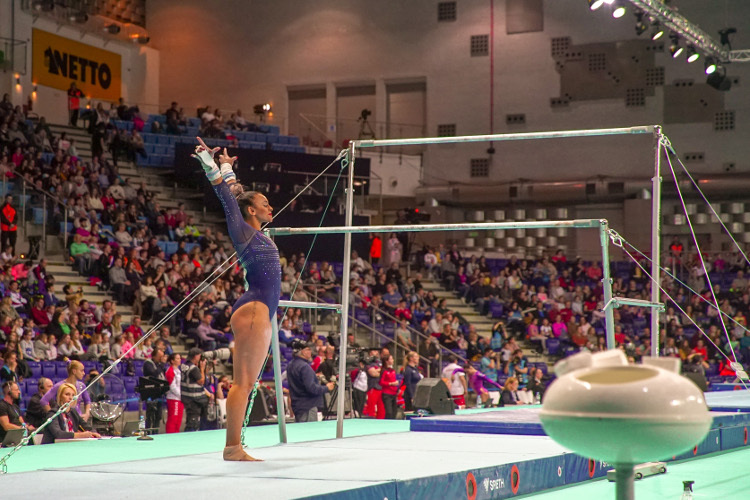 Ellie Downie (Notts) is defending the historic all-around title she won in 2017. In qualifying she showed her high level of difficulty throughout especially on vault was she was in superb form scoring a massive 14.366 to top the rankings. On floor one of her favoured apparatus she had some difficulty controlling her huge tumbles whilst on beam she had to battle some wobbles, both scores therefore can be increased in tomorrow’s final as she aims to once again be crowned the best gymnast in Europe. Claudia Fragapane (Bristol Hawks) is making a welcome return to the GBR team after injury and the 2017 World floor bronze medallist showed all her difficult trademark tumbling skills to power to an impressive score of 13.600 and set her up for a medal charge in Sundays final. 15-year-old Amelie Morgan (The Academy/Portishead) made history as a junior at this event last year winning five medals. 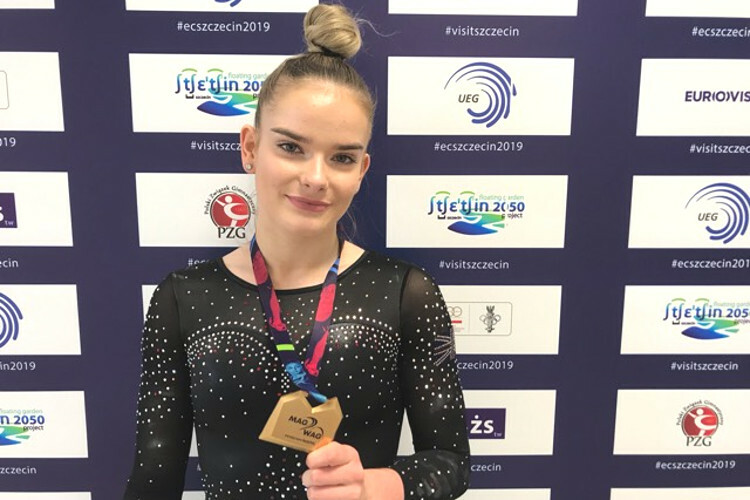 She showed no sign of nerves stepping up to senior level and put in an outstanding display across the four apparatus to score 53.699 and place fifth in the rankings missing out on the final as only two gymnast per country can progress. 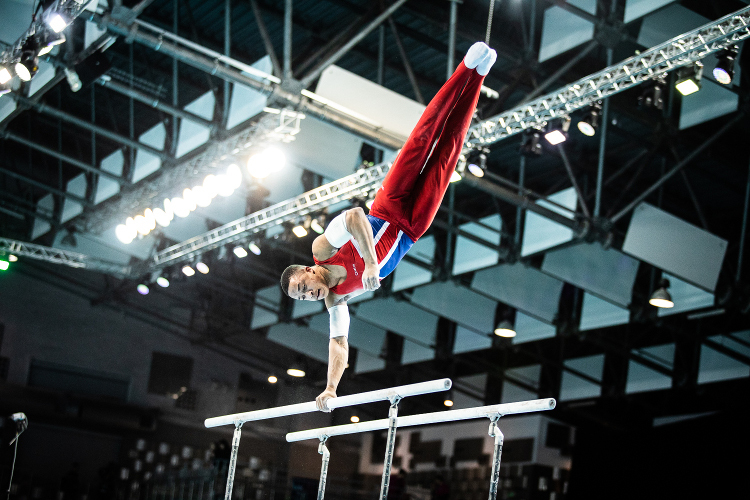 Tomorrow (Friday) is the men’s and women’s all-around finals. 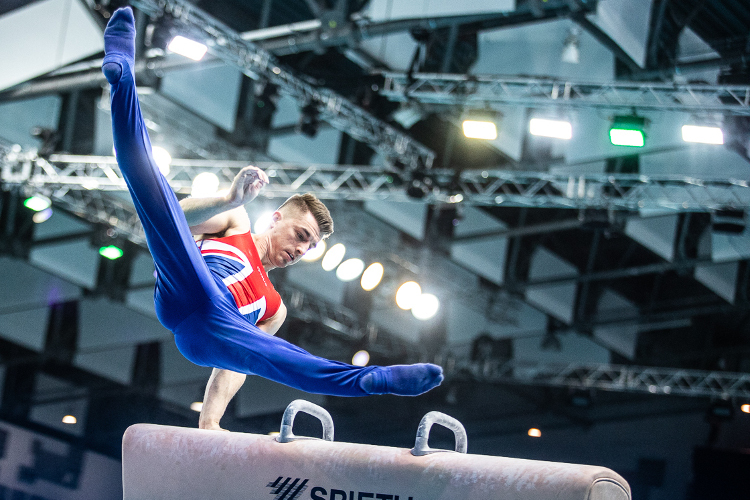 NB: After assessment it has been confirmed that Dominic Cunningham will not compete in the floor final on Sunday. 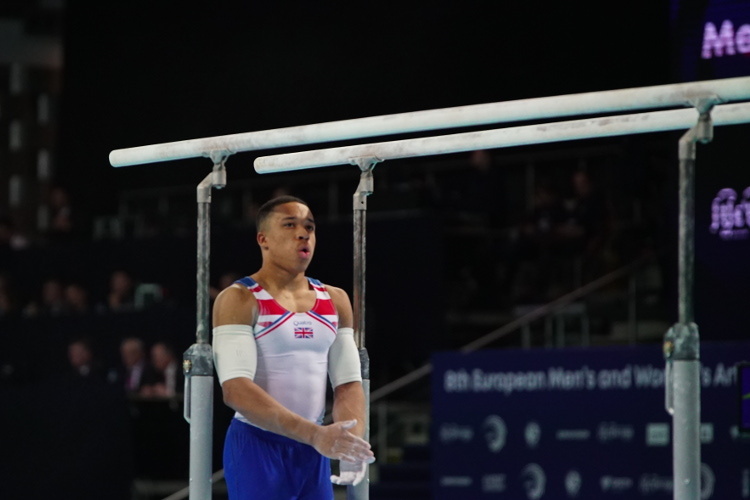 Dom injured his right leg in vault qualifying and has withdrawn as a precaution, he will have scans when he returns to the UK next week.